Offers: Under utilized very nice course challenges. Be prepared once you leave hole number one it will be the last time you see the clubhouse until 18. Buy 10 game packages and get 2 bonus rounds with each package. 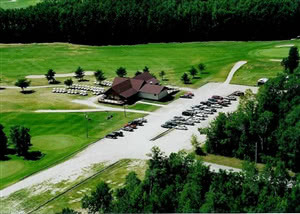 Mars Sand Hills Resort and Golf Course is an 18-hole facility located in SCOREGolf's MB South Eastern Manitoba - Winnipeg Region. The highest rated golf course at this facility scored 6.00 making it strong local course.